Decided to push straight on with Die, Monster, Die! (1965) with Boris Karloff. Also known as Monster of Terror. It felt strange having an Arkham in England not America. Though to me, anyway, it is much nicer looking than the Arkham in The Haunted Palace! More paintings of ancestors looking down on things. Boris Karloff is generally good, as is Suzan Farmer. Though Nick Adams much less so, and that's a big drawback. But oh, it's so talky! And phenomenally laboured. I feel watching it as though there's 15 minutes at most of content here, slowly, agonisingly, padded out. I fast forwarded through quite a lot. I'm also not keen on the split action in many places, as it switches to and fro between two different things. On a plus, as a sometime wheelchair user, I am in awe of all the lifts and ramps around that house. And I also like that the film shows a wheelchair user getting out of their wheelchair for a time. Something the general public can still, even today, find hard to comprehend. The grill over the meteor does feel extremely reminiscent of the grill over the also green monster in the other film. I'm even wondering if the second director was influenced by the earlier film. But I do rather like the skull etc decor of the temple-like cellar. Not that I'd ever want anything like that in my own house! Tonight I watched "The Monster Club". It's a horror anthology meant for younger audiences. At times the film was incredibly cheesy, but the story segments are worth a watch. Especially the last one, it involves ghouls. And they're pretty much true Lovecraftian ghouls, that must have been the inspiration. Especially the flashback scene was wonderfully done. I'd never seen "The Monster Club" before, malkavian - what a fun movie, it really deserves to be better-known! The second of the three anthology segments was kind of cute but mostly throw-away, and the wrap-around segment was worth watching just for Vincent Price, but I really thought the first story and that third one really shone, and either one was well worth the price of admission. Glad you finally got to catch both of these early Lovecraft adaptations, yockenthwaite! Mixed feelings - could have been great, but is let down by bad acting from the main lead ( who wears a ridiculously deep scowl throughout nearly the whole film ); the "real" baddie is a scenery chewer and the dialogue veers from realistic to florid 17th century at a moment's notice. The violence is over-egged as well ( I'm not anti-gore but four spears running through a victim is excessive when two will do, especially when they have to survive looking like a porcupine for a minute to deliver dialogue ). It also suffers from the writer, director and editor being the same person so it is overlong and could have been made more coherent by a different viewpoint intervening at some point. Annihilation (2018) - Sort of a mashup of Colour Out of Space, Aliens and The Thing, about a Delta Green-style team of experts sent to investigate a phenomenon they refer to as "the shimmer" which has descended upon a (Florida?) swamp, [...]; I had a lot of fun with it, in spite of some shaky CGI effects at the end ([...] folks who are infuriated by CGI effects should probably steer clear of this one). Other than that, I thought it worked better than usual for this sort of film. I just watched this ( free on Netflix ) and really enjoyed it. I thought the CGI at the end was decent enough. Very good acting, "nice" freakiness periodically. I wouldn't class it as a horror film so much as a "weird" film. Big thumbs up from me. Just watched The Bay, a very good film that isn’t overtly Lovecraftian but with lots of mineable ideas. The fact the “creature” is an ancient life form was fun but the whole thing would work as a great take on Eihort. Went out and watched the remake of Suspiria this weekend (having watched the original 70s version a couple of weeks ago) and I really enjoyed it. It was relocated to postwar 1977 Berlin with Tilda Swinton - both of which I'm a sucker for. I may be a Philistine, but I preffered the remake to the original. 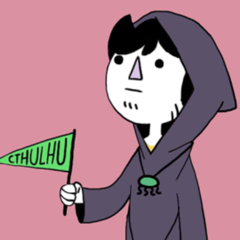 I went with someone as our Call of Cthulhu game was cancelled. Ironically, he was planning to run a Suspiria themed scenario! The atmospheric build up was very enjoyable, though it went into the reveal very early on, and a lot of it was occupied with setting up an unsettling tone, rather than jump scares. Some fun body horror stuff, and good examples of a san blasted investigator trying to explain what's gone on. Someone complained that it wasn't 'scary' but I think the focus on some of the mundane aspects built tension - and it's nice to see the day-to-day administrative needs of running a sinister German Witch Cult. The dancing and physicality of the actors was fantastic - I'd bet that all the extras had formal dance training, and probably the leads too. This was evident in the ballet scenes as well as the ritual climax. The ritual climax had something of the Grand Guignol to it, but I think it was appropriate and reflected what I'd consider correct for a dangerous Mythos ritual. I don't know how my companion planned his Suspiria scenario - but it feels like the instinctive idea might be to think of Shub Niggurath for all female, Bechdel test passing, witches; but this was far more like a Nyarlathotep cult (possibly more appropriate for a witch cult actually) - up and including the 'power play within the coven... 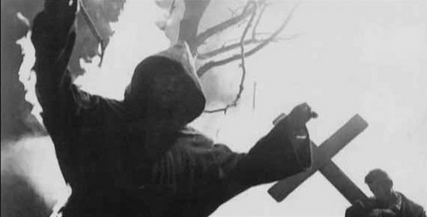 The Black Woman appears and decides to randomly destroy a bunch of cultists' element. The epilogue seemed a bit out of keeping with the rest of the movie and hinted at more backstory. Apparently this remake takes more from the original novel and myths, than the Argento version. I wasn't even aware there was a novel, but I'm sure that someone here will have read it. Reviews seem to have been polarized so I'd be interested to hear what my fellow TSDC acolytes thought of it. Just out of curiosity, where did you see "The Legend of Hillbilly John"? I have it on VHS, but I'm always surprised when other people know about it. As a big Argento fan, I was surprised at how much I enjoyed Suspiria (2018). which is a direct homage to the Three Mothers Trilogy. Bottom line, The Resurrected is underappreciated and needs more love. 1988's Cellar Dweller (complete with a short appearance from Jeffrey Combs) is, for all intents and purposes, a low-rent 1980s "Pickman's Model" with the serial numbers filed off: an eccentric comic book illustrator, inspired by a creepy tome, begins drawing comics about a killer ghoul (AKA "the beast", "ork", or "underground werewolf"), which turn out to be a real creature, living in the artist's basement and emerging by night to kill a cast of unlikeable 1980s horror movie victims one by one in imitation of the comic book.... As long as you don't mind the other loose Lovecraft adaptations that Jeffrey Combes has appeared in from the 1980s and since (Re-Animator, From Beyond, Pulse Pounders: The Evil Clergyman, Necronomicon: Book of the Dead, Castle Freak, The Dunwich Horror, etc. ), this one's fun in the same cheesy, tasteless, kitschy, low-budget 1980s horror movie spirit. Netflix's Bird Box ought to fit the "Lovecraftian"/Weird horror/fantasy/sci-fi bill quite nicely for many of us: an apocalyptic near-future survival-horror kind of thing where unexplained monsters have taken to walking the earth, driving sane people mad when seen, and served by cults of escaped lunatics who find the monsters beautiful to look at. Think of the result as sort of like a "living dead" movie, except with Old Ones and cultists instead of "zombies", and the apocalypse survivors being forced to wear blindfolds on top of all the other challenges of surviving. The unseen or barely seen is always scarier, no matter how good the special effects. Saw A Dark Song over the weekend. A nice piece of occult creepiness, about a woman who rents a cottage in the Welsh backwaters to have a specialist conduct a ritual for her. Some good tips on making a ritual seem appropriately big, strange and weird rather than just being a recipe - there was a sense of danger throughout. I loved 'A Dark Song'. Apparently it's taken from Crowley's Abramelin Ritual. The film had great atmosphere. Watched Hereditary last night and it was a great, psychological horror film with just a touch of HPL influence around the edges. Mercifully free of excess jump scares and concentrates on the main characters; Toni Collette gives a great performance of someone with a fluctuating SAN score and the rest of the cast, especially her family, give solid support. It unwinds at a leisurely pace - which might explain some negative reviews, along with the lack of jump scares - and is genuinely disturbing at times. Worth a watch and currently part of Amazon Prime. I thought Hereditary was an excellent horror film. Plenty of moments that leave you feeling uneasy and I kept having unnerving flashbacks to the denouement scenes for a few days afterwards ( always a sign of a good horror film in my book ). That ending had a touch of the Hammers about it. I got a very weird twisted nostalgia vibe from it. Very wrong. And very good. My only issue with The Ressurected: You are going to a dark basement. With explosives. Forget everything else going on in the movie -- dark basement, explosives. Do you really only bring a single flashlight and no extra batteries? Still, what was particularly great and unnerving about that scene was that whenever the light source went out, everything really did go pitch black. I mean it sounds really obvious but watching this I was reminded that almost always when that happens in horror movies, be it outside on a moonless night or underground in a cave, we still sort of see everything, because there's just a dark blue lens in front of the camera or something. At the very least we usually tend to still see the characters, groping around "blindly" even if we can't see the background. I don't get why they do that -- true darkness is way more terrifying as this movie shows. Last week I watched The City of the Dead (1960), a Christopher Lee film. It isn't strictly speaking Lovecraftian, but it felt very Lovecraftian to me as I watched it. It's set in New England, Massachusetts, and sees a young student go off investigating the history of witchcraft in a small remote town. I do recommend it to anyone who hasn't seen it. I don't think it is particularly surprising in content i.e. as you watch it's pretty predictable where things are going. But it's enormously atmospheric, and well done. It was a British production, and the largely British cast had to put on American accents, to varying degrees of success. E.g. Valentine Dyall's accent is much better IMHO than Christopher Lee's. I loved "City of the Dead" - I found it a lot of great Hammer-style horror movie fun, and exactly as atmospheric as you say! Do Mothra and Gamera movies count as Derelethian since you’ve got good monster gods defending earth against evil monster gods and there is usually a haunted isle, ancient temple or violated shrine involved somewhere? Love all those movies. Of the Godzilla recent films, "Godzilla, Mothra, King Ghidora: Giant Monsters All-Out Attack" is pretty mystical. Violated shrines, an eerie old man issuing warnings of doom, ancient guardians awaking after millennia to fend off the embodiment of all the people murdered by the Japanese during World War II. And there isn't anything the protagonists can do about it. Don't forget "The Monster That Challenged the World" (1957) -- Fast-reproducing marine man-eaters that are also good at hiding threaten soldiers, scientists, and, well, the whole world.